During the golden age of center fielders in New York, there was Willie, Mickey and "The Duke." 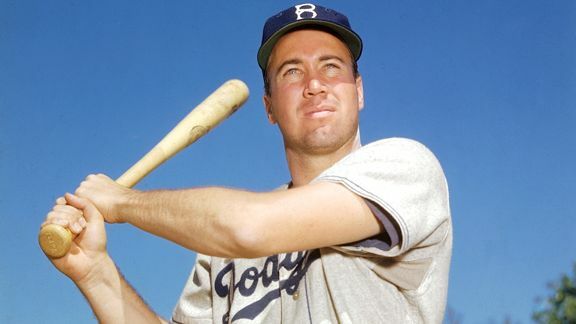 In his 11 seasons in Brooklyn, Snider helped Dem Bums to six National League pennants, five World Series appearances and one World Series title. The "Silver Fox" belted 407 career home runs and batted .300 seven times, including a career-high .341 in 1954.